Do not attempt to apprehend any person listed as wanted – phone 715.258.4466 and give all information to the Waupaca County Dispatch Center. 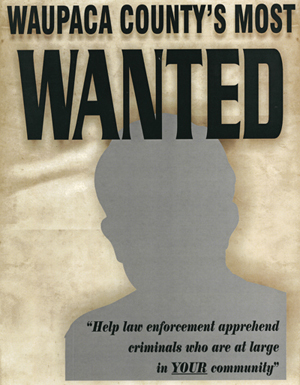 All wanted suspects should be considered dangerous regardless of the nature of the warrant. Click on offender name for physical description and a photo.